For most events and parades, it is encouraged to just dance along with your best moves, dance props or musical instrument. 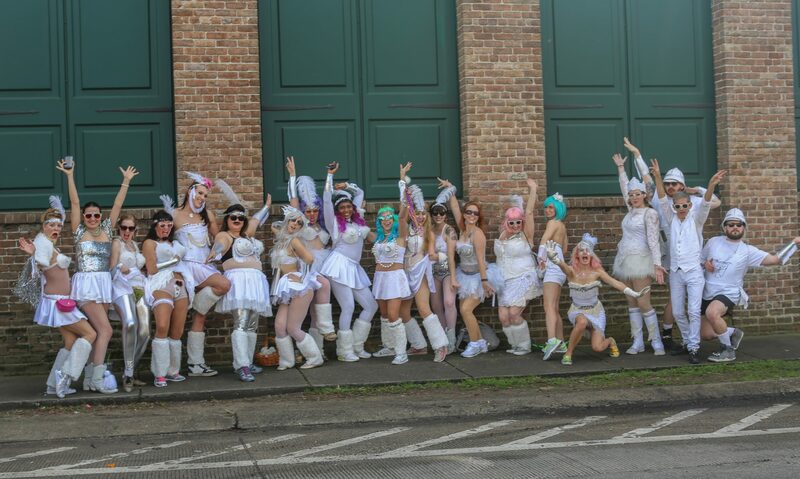 For some parades, such as the Krewe of Muses, we have a very simple series of moves we do together using isis wings. To learn the moves, check out the Mother Shucker’s tutorial.